A good pillow can make much of a difference when it comes to getting a good night’s sleep. 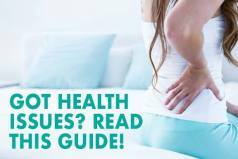 Buying the right cushioning for your upper body and positioning it correctly is actually one of the most important factors in getting enough of a quality and sound sleep. The right pillow with the right height and softness will provide your head and your upper body with the right amount of support and create a comforting, soothing feel that will quickly lull you into sleep. However, elevation and firmness of your pillow are not the only things that matter when it comes to getting a quality night’s sleep. Matching the right type of pillow to your sleeping style is of immense importance too. 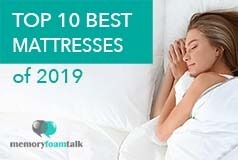 Click here to see which of the mattresses we have reviewed would best suit your sleeping style. Depending on your sleeping style you may need pillow that has just the right loft and firmness that will meet your specific needs, and Muse online mattress company seems to have pillows for everyone’s needs. It is an innovative company that is relatively new on the market and that has recently came up with one of the most comfortable memory foam mattresses and four different pillow options for different types of sleepers. All these four pillow options have different density and are built for varying types of neck support so they can perfectly work for most sleeping styles and fit unique comfort needs of most sleepers but will one of them work for you? The Muse pillow followed the release of the Muse mattress, and it was created to meet the needs of a variety of different sleepers and match the Muse mattress in style, design, and comfort. You can check out our review of the Muse mattress here. The Muse pillow comes wrapped in a plastic package and neatly packed in a box. It doesn’t come vacuum packed and tightly folded so there is no need to fluff it to regain its original shape and it is ready to be used immediately. As the pillow comes wrapped in a plastic package and as it is a memory foam pillow there may be a slight off-gassing smell, so you can take the pillow out of the packaging right after it arrives and let it sit out for a couple of hours before sleeping on it. However, the smell is not something you should worry about as it’s not overwhelming and will dissipate within a few days. This pillow is made of memory foam but is unique because it has two layers and the memory foam is in two different forms. There is a layer of high-density molded memory foam that provides a cushy, supportive loft that perfectly contours to the shape of your head, neck and shoulders and conforms to every your movement. The second layer is made of a high-quality shredded foam and hollow fibers that create a responsive, breathable surface that allows more airflow through the pillow and prevents the build-up of excess body heat. This layer offers a good degree of adjustability in that it allows you to manipulate the filling depending on what position you sleep in and create the feel and support you need. What makes this pillow stand out from other pillows is the fact that it incorporates the same design and cooling technology as the Muse mattress. So, the cover is artfully woven with Cold Wire Plus technology which involves using a sleek, innovative fabric that is cool to the touch, that absorbs the room’s ambient temperature and wicks away moisture to keep you cool, comfortable and dry during the whole night. The cover is thick, durable, plush, and it can almost serve as a stand-alone protection if you don’t want to use a separate pillowcase. It is also removable and washable, so you can remove it by using a zipper and wash it if necessary. As mentioned, the pillow is offered in four different options for different types of sleepers, and if you are not sure which option would best work for you, you can take a quiz given on the company’s website and see which pillow is best suited for you. So, you can choose Extra Low, Low, Medium or High pillow. The Extra Low Loft pillow is only 4″ high and it it doesn’t have molded memory foam core. Being only 4″ thick and being made entirely of shredded memory foam and hollow fibers, it is perfect for stomach sleepers and those who often switch throughout the night as it will keep their necks in a neutral position and provide them with an extremely adaptable surface. Low Loft pillow is 5 inches high and can be adjusted for stomach and other sleeping positions. Although this pillow may compress easily, it will bounce back because of the molded memory foam core. Medium Loft pillow is 6 inches high and is suitable for back and side sleepers with less broad shoulders. It offers the right balance of support and adaptability to provide sleepers with a comfortable and restful sleep. And finally, the High Loft pillow is 7 inches high and it is the most supportive option, perfect for back and side sleepers and those with broader shoulders. It will cushion your upper body and comfortably fill the area between your head and shoulders when sleeping on your side. This pillow, however, may not be an ideal choice for sleepers of a smaller frame as it will force their heads more towards the edges and cause spinal misalignment. The Muse Memory Foam Pillow is a very comfortable pillow that allows you to choose your loft for ideal support but still conforms to your neck and head. Regardless of what size you choose it will remain supportive and comfortable and won’t flatten out. As I have already mentioned, it may happen that the Extra Low Loft pillow compresses a bit after some time of use, but all you need to do to is to fluff it and it will quickly regain its original shape. The two different layers of memory foam create an ideal surface that offers a great combination of sink and support, while the cooling technology in the cover keeps the pillow cool and comfortable all night long. What Andrew and I really like about this pillow is that it has this memory foam feel and support while it allows us to move the fill around, depending on what position we sleep in. So, although it is not totally adjustable (you can’t open the pillow and remove the filling to reach the desired amount), you can manipulate the filling to create the feel and support you need. The Muse pillows can suit all types of sleepers and as we are primarily side sleepers we decided to go with the Medium Loft pillow and it proved to be a really good choice for us. It cradled my head and perfectly contoured my neck filling the space under it, and it provided enough support to keep my head and neck properly aligned with the rest of my body. It didn’t take long and it lulled me into sleep. It also has enough give and support needed to provide a comfortable sleep when lying on your back as well. All Muse pillows are reasonably priced coming in at $120, though they may appear to be a bit pricey when compared to other pillows currently available on the online market. However, this a great value given the quality materials used in their construction and the overall comfort and luxuriousness that they offer. You can purchase the Muse pillow through the Muse website. The company offers 120-night sleep trial and 3-year warranty on these pillows and ships them for free. Besides this, the pillows are risk-free investments that can be returned for a full return. Click here to get the best price on the Muse pillow. Is the Muse Pillow right for you? Pillows for all sleeping styles – As mentioned, the pillow is offered in four different options for different types of sleepers, and if you are not sure which option would best work for you, you can take a quiz given on the company’s website and see which pillow is best suited for you. 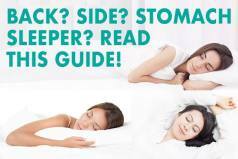 So you can choose Extra Low, Low, Medium or High pillow and each of these options works perfectly for certain sleeping styles. Cool-sleeping pillows – What makes this pillow stand out from other pillows is the fact that it incorporates the same cooling technology as the Muse mattress. So, the cover includes Cold Wire Plus technology which involves using a sleek, innovative fabric that is cool to the touch, that absorbs the room’s ambient temperature and wicks away moisture to keep you cool, comfortable and dry during the whole night. The pillow also contains shredded memory foam which adds to its breathability and aids in cooling. Comfortable pillows – The Muse pillow is a very comfortable pillow that allows you to choose your loft for ideal support but still conforms to your neck and head. Regardless of what size you choose, it will remain supportive and comfortable and won’t flatten out. In general, our experience with the Muse pillow was more than positive. Besides the company offers several sizes of this pillow so that all sleepers can find one that matches their needs, the pillow is also extremely comfortable, and regardless of which size you choose, it will provide you with just the right amount of loft so that your neck and head are properly supported. It incorporates both a foam core and shredded memory foam which together offer a perfect balance of comfort and support. But this is not the only thing that makes this pillow unique. As mentioned, it uses the same Cold Wire Plus cooling technology like the Muse mattress, which means that it sleeps incredibly cool. Its soft cover gives a nice look and feel to it, so you can use the cover as a stand-alone pillowcase if you don’t want to use separate pillowcase. The pillow also comes with a 120-night trial period which is quite surprising given the fact that it is a personal item for which many other companies don’t offer a trial period. So, all in all, this is a great pillow. Andrew and I have been using it for a while and it really made our nights more comfortable and improved the quality of our sleep.